THIS AIN'T YOUR AVERAGE PAINT PARTY. Everyone has a story to tell. Unfortunately, we get so busy living life that we don’t take time to reflect on our own stories. As a result, we often lose sight of our goals, or even worse, our own value. 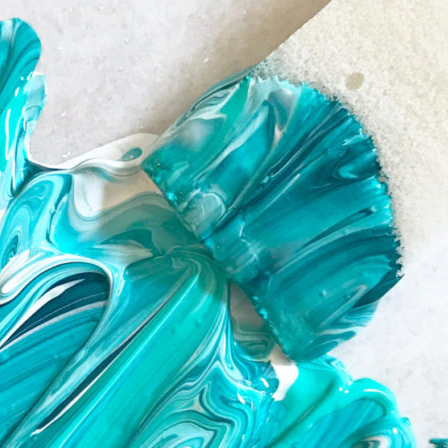 The Paint Your Story workshops are an opportunity for women to come together; enjoy friendship and laughter; and tell their stories … through color. We use abstract art as a means of exploration, self-expression, and story-telling. Relaxed. Fun. Filled with laughter. Being gently nudged out of conventional thinking and into creativity. It is here that ideas flow and bonds form. Personal technology will be replaced with face-to-face conversation. Still life and paint-by-numbers are banned. Get creative. Get involved. Get connected. At a Paint Your Story party you will leave with 2-4 UNIQUE pieces of artwork that are created by you, for you. Your individual flair will be displayed. And yes, you do have artistic flair. NO ART EXPERIENCE NEEDED. I will walk you through each step of the process and provide prompts to get your creative juices flowing. For each pop-up art studio, we bring to a location everything needed to connect, celebrate, and collaborate through color including: easel(s), canvases, canvas boards, acrylic paint, painting tools (sponges, make-up wedges, q-tips, spatulas, hotel room keys, and other non-traditional painting items,) tarps, table cloths, plastic aprons, foam plates – all the supplies needed.